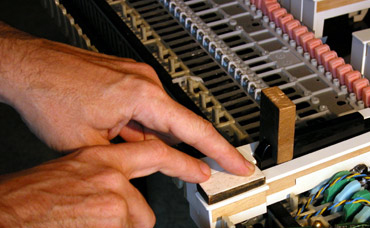 The patented non-contact FLK light sensor technology, developed especially for our LACHNIT FLK keyboards is a real improvement for dynamic keyboards and unique on the market. The FLK light sensors measure the speed of the key driven “hammer” not just the speed of the key itself. So timing of key movement to hammer head strike (sound on set) is improved which is more playable and allows more sensible variations. 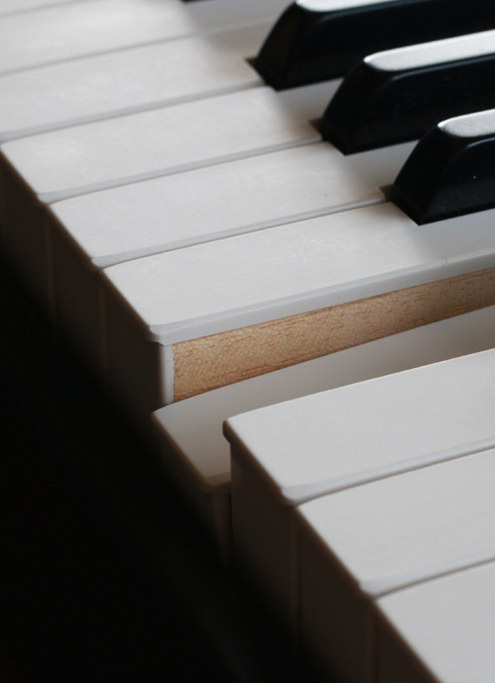 (Similar to the characteristics of a Concert Grand Piano). There are no rubber contacts under the keys or on the "Hammers" , so you don’t have to press strange materials with your sensitive fingers. The last third of the key travel can be controlled more precisely as light sensors work much more accurate. All keys respond in the same uniform precise way. You can control the full dynamic range accurately in a very easy way. 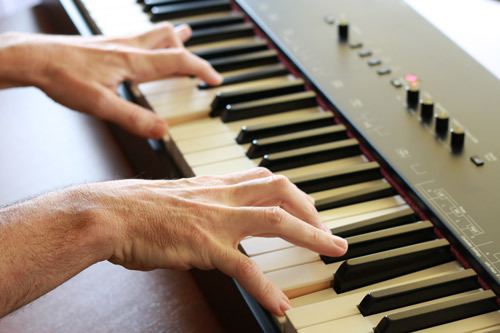 So you can play very fast or very slow and smooth pieces virtuously and easily. The keys come from an Italian manufacturer are finished and refined in Vienna by FLK according to "Viennese Classic Specs"
The striking point (Sound on set/Note On) is at 2/3 of the key travel. Note Off comes on 1/2 of key travel. Dynamic key release velocity is also supported. For model MK Studio the keyboard keys are refined with a non slippery key surface, smoothed key edges, high quality felts, etc. The striking point are adjusted individually for every single key manually. That is why performing your music on LACHNIT FLK keyboards is so enjoyable.